Suffering from an injury that is due to an unexpected accident will likely present a number of hardships and challenges in your life. Such challenges can drastically affect your ability to work and your ability to provide for your family. One way to alleviate the stresses associated with a personal injury matter is to choose an experienced lawyer to advocate for your best interests. At our Vancouver law firm, we offer the experience, skills and knowledge you need to overcome your challenges. Epstein Law advocates for those who have been injured in accidents in Vancouver and throughout the surrounding areas. We are an established practice with a reputation for providing top-notch legal services in the area of personal injury law. Our firm serves a vast range of clients and is committed to providing highly personalized and professional legal services. Our legal team is led by Mark Epstein, a lawyer with more than 20 years of legal experience. Mr. Epstein frequently appears in the Provincial and Supreme Courts of British Columbia. Mr. Epstein is innovative and highly knowledgeable of the law, and he understands how to implement an effective strategy for resolving his clients’ legal issues — whether that is through skilful negotiations in reaching a settlement or in the courtroom. We handle all personal injury matters on a contingent fee basis, which means that we do not collect lawyer’s fees unless we recover a monetary award on behalf of our clients. Many lawyers handle contingent fee matters on a 33 percent basis. At our firm, we may be able to take your case on for a lower percentage. If your employer is a member of an employer assistance program, you may be entitled to receive a further discount on legal services. 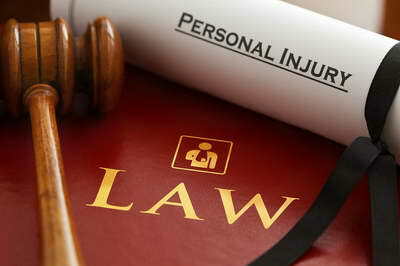 Our Vancouver personal injury lawyers offer fair billing and financial assistance for your claim. Unlike many personal injury law firms we do not charge hidden fees such as interest on disbursements or fees on advances you have already received. Unlike other law firms we do not just take the easy cases where there is no liability in issue we welcome taking on the hard cases too where we might have to fight for your rights. Contact our firm to learn more about financing options. We recognize that there are times when you are not in an economic position to retain a lawyer for your case. This is especially true for Family Disputes. Our firm provides ‘pay as you go’ and consulting services. We will provide you the necessary support for you to file your own claims in court or represent yourself in legal disputes. We offer fair and reasonable flat fee consultations. We review your work, and applications to court, draft court documents, speak to matters before the court, and advise you on the law so that you can act on your own behalf with confidence keeping your legal costs to a minimum. ICBC will usually want you to settle your case early, before you have recovered. It knows that if you settle early ICBC most likely will not have to pay you the maximum amount of compensation you are entitled. It also knows that if you retain a lawyer it is more likely ICBC will have to pay up to 10 times more to you for your injuries. Do not settle early: your injuries might become worse, you might get into another accident which might exacerbate your injuries, you might lose work because of your injuries, and you are most likely settling for much less than you are entitled. Call us before accepting an Offer from the Insurance Company, if we think it is fair we tell you to accept and we will not charge you a fee. If you need money, we will help finance you until you get up on your feet and receive the settlement to which you are entitled. We obtain MRIs, physiotherapy and specialists appointments that the public health system cannot. You do not have to wait weeks, months or sometimes years to see a specialist to make a determination. By seeing these specialists you will receive a faster diagnosis and better treatment for recovery. To schedule a complimentary initial consultation with Mark Epstein or his legal team, please call 604-685-4321 or contact us online. If your injuries prevent you from being able to visit us in our office, we are happy to make arrangements to meet in your home or at a location of your choice. Our firm can provide interpretation for languages such as Russian, Filipino, Chinese, Mandarin, Cantonese, Tagalog, Hindi, Punjabi, Farsi and more.